1.c Parallel lines are taken to parallel lines. A translation is when you "slide" a figure around. You move it either left/right or up/down or a combination of both. You take the pre-image, which is the triangle ABC, and slide it to make the image, which is triangle A'B'C'. The shape keeps its rigidity, which means it stays 100% the same size and same shape. A Reflection is when you "flip" a figure around. You move have a line of symmetry that you flip over. Most of the time, it is the x-axis or the y-axis, but we can also use other lines such as x = 2 or y = 5. You will create a mirror image. Just like translations and rotations, you have a pre-image and an image. A Rotation is when you "spin" a figure around. At this level, we will only focus on spinning around the origin, the point (0,0), and we will spin only 90 or 180 degrees. As you can see later on this page, you can best do rotations by "spinning the paper back and forth" and counting how to get to points. 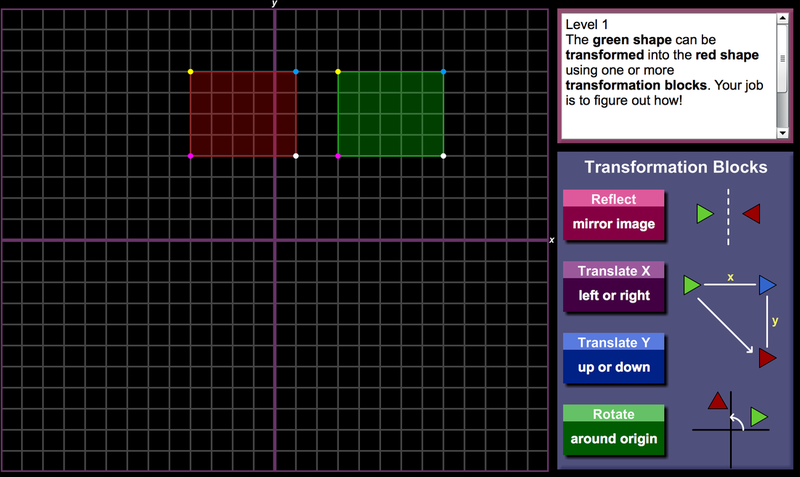 Mathisfun.com has some great practice to see how do transformations. 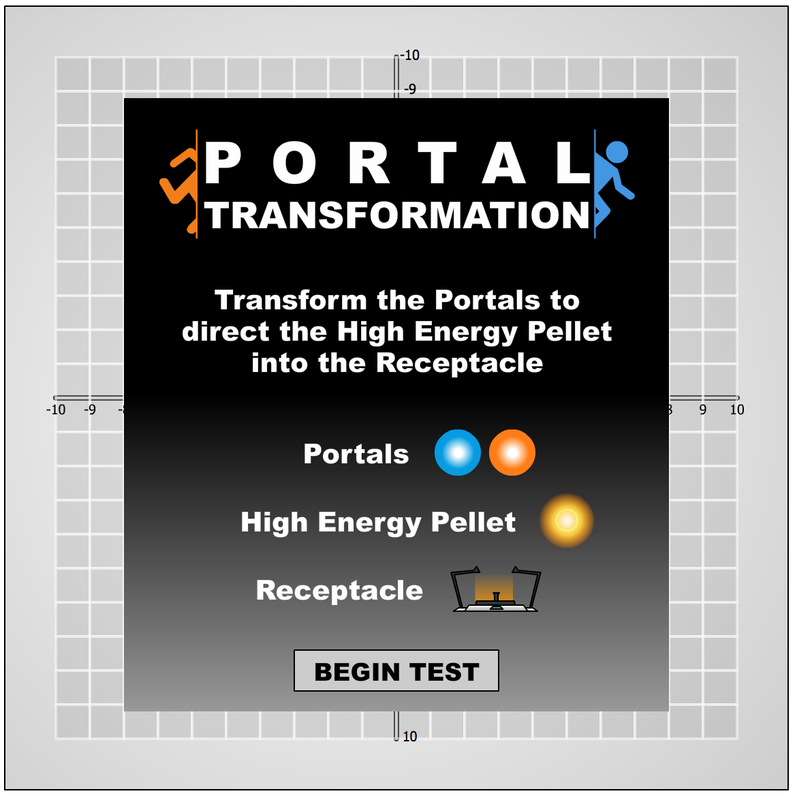 I took these items form their website, and I put them here so you can practice them right here. Go ahead and practice here with some different shapes. 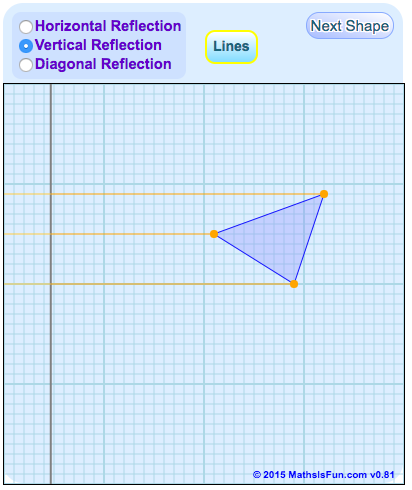 Choose a shape, then click on the Reflect to see how to reflect the shapes over the given line. 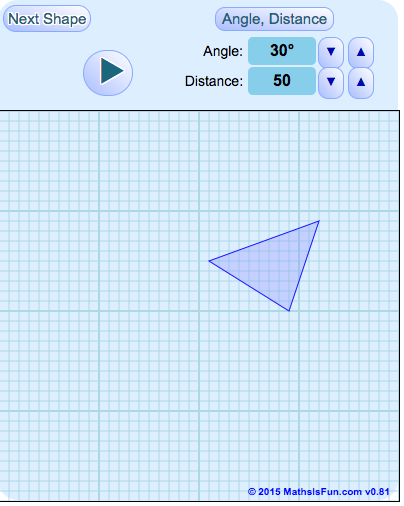 Choose a shape, the click on the Quick Rotate to see how to rotate the shapes a certain amount. 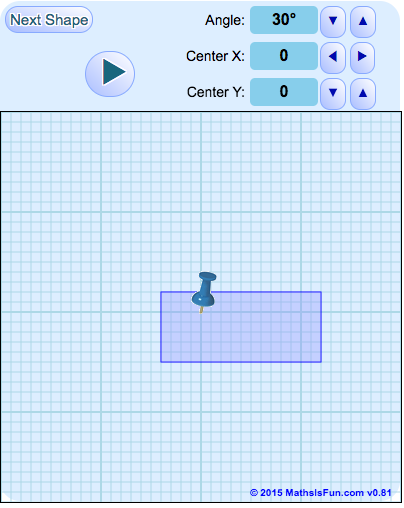 Choose a shape, then change the values to Translate to see how to slide the shapes. 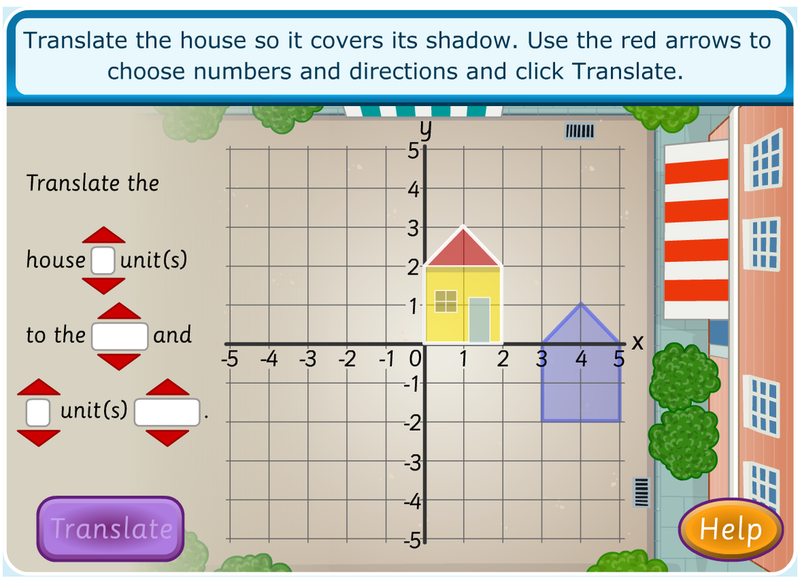 Check out some of these math games that you can play on some sites.